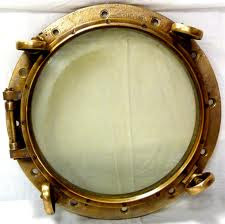 Mr. Micawber Enters The Internets: The window that has turned into a porthole. The lifespan of a book can be looked at in a lot of different ways. It's life in hardcover(and/or paperback). It's total life in-print. Or eternity, I suppose. Yet there is a window of time when the book needs to sell to be considered a success and that window, friends, has drastically shrunk over time. Back in the good old days--just kidding--publishers were willing or able to build an author over time or a series of books. That does still happen in some cases though it's becoming more and more rare. Emily St. John Mandel is a good example of this. Unbridled Books and Emily have worked together and her sales are building, her name getting known more widely. I'd say it's a beneficial relationship for both. However, like I said, that's no longer the norm. Publishers get anxious quickly regarding sales numbers and while it's certainly not my place to say what's fair or unfair about how they market and handle their books it does seem, at times, like some publishers take their foot off the gas on working for some books when the sales don't pop right out of the gate. That's partially due to the river of books coming--always new ones that need to be worked on. It's due to the new way in which books are reviewed. Yes, the NYT Sunday Book Review is still big. The Rumpus and Bookslut are major players. Blogs run by individuals, professional reviewers and stores all factor in. I'm certainly a part of the problem in some small ways. I'll move a book off the front table if it hasn't been looked at or sold much in a few weeks. That has to make authors cringe--a few weeks? they rightly could complain. I'm always harping about how the store has to look fresh, different and new constantly. Part of that is what we display changing often. That means things getting moved that aren't themselves moving. From time to time an author will ask that their book get displayed and if it's been out for 6-12 months the answer is likely no. That's not a hard and fast rule but is a general guideline. On the other hand, we do display lots of books that aren't just out. An employee might like it, we might sell a lot, it might just have a nice cover. It might even fit into a small space we need to fill. One thing I'm proud of is that we never do paid placement and never, ever, will. Like all stores we also have some sweetheart back-list titles that continue to sell over time. Depending on the store, these titles usually have a local connection or are hand-sold by booksellers or used by book-clubs in the area. Or come from a local publisher. It is highly unusual for an old backlist title to simply sell itself over a long period of time. Here are some of the titles we continue to sell over time. Well, first, I should say there are some outliers. People like Alice Munro and Marilynne Robinson and Charles Portis continue to roll because they are who they are. Here are a half-dozen titles from us that have become our little gems. Esi Edugyan's "Half-Blood Blues" is benefited by having a striking cover. That helps. It also has a jazz hook and has moved word-of-mouth for us over time. She has won a slew of Canadian fiction prizes and it's easy to tell why after reading her. Robert Clark's "Mr. White's Confession" is a novel that was re-issued in 2008 after being gone for about ten years. It is fantastic St. Paul 1930's era stuff. Clark once wrote for a local newspaper and people remember the name. "The Hare With Amber Eyes" by Edmund De Waal is a book both Tom and I loved when it first came out. Art history isn't our usual sweet-spot but this has great family history to go with it and is a natural for book groups and fans of strong non-fiction. Another favorite of both Tom and myself is David Benioff's "City of Thieves." This reads like a movie and it will be one at some point. The Siege of Leningrad and humor aren't something most people think about immediately. Yet here it is. I'm a Joe Mitchell fanatic and I will try to sell his "Up in the Old Hotel" to almost anyone who asks for a recommendation. It is one of the very few books I go back to and read again and again. Finally, Kao Kalia Yang's "Latehomecomer" is our overall best-selling book. Published by Coffee House Press it has strong local ties with the Hmong population and its strongest asset is that people who read often buy multiples to give out to friends, family and co-workers. So while it can be tough for authors to keep their name and titles in the minds of readers given the intense competition it is good to remember that three weeks is not the be-all even today. Yes! Or, as happened to me earlier this year, a bookseller discovers a book that's been out for nearly 14 years, reads it & loves it so much that over the 5 months following her first read, she manages to sell the equivalent of one copy for each year the book has been out, simply by placing a stack up at the front to compete with stacks of new books that may eventually be discovered 14 years later by another bookseller who will then give that book new life. That book? A PRAYER FOR THE DYING by Stewart O'Nan. I can't recommend it enough.